Let us help find the perfect solution for You! Finding solutions for our customers is something we do best, and enjoy doing. When Boyd Gaming came to us looking for commercial fireplaces that could produce a big flame and no heat for the Kansas Star Casino in Mulvane, KS, we were happy to assist! When looking to add a fireplace to a home, retail space, corporate office, or commercial property, like Kansas Star Casino, make sure to look at all of the available options and affirm what you’re getting meets all of your needs. At Acucraft fire is our passion and we want each & every one of our customers to be 100% satisfied with their fireplace. We not only want to make your design come to life, we want to do it the right way the first time around. Our design team spends countless hours ensuring each and everyone of the custom gas fireplaces we build are safe, internally tested prior to shipment, and meet & exceed ANSI Standard Z21.50/CSA2.22. 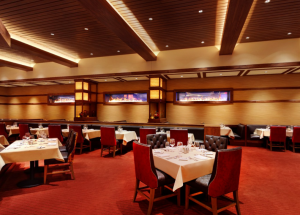 Boyd Gaming had worked with another fireplace manufacturer to install four commercial gas fireplaces in The Woodfire Grille within the Kansas Star Casino. These fireplaces unfortunately did not meet their expectations so they were looking to replace them. The existing fireplaces were giving off an ton of heat and had very minimal flames so unfortunately they knew they had to be replaced. They wanted four identical custom gas linear see-through fireplaces that could provide tall, impressive flames that wouldn’t output any heat to the surrounding areas; additionally, the fireplaces had to be UL tested with a glass temperature less than 90 degrees while still maintaining large flames. 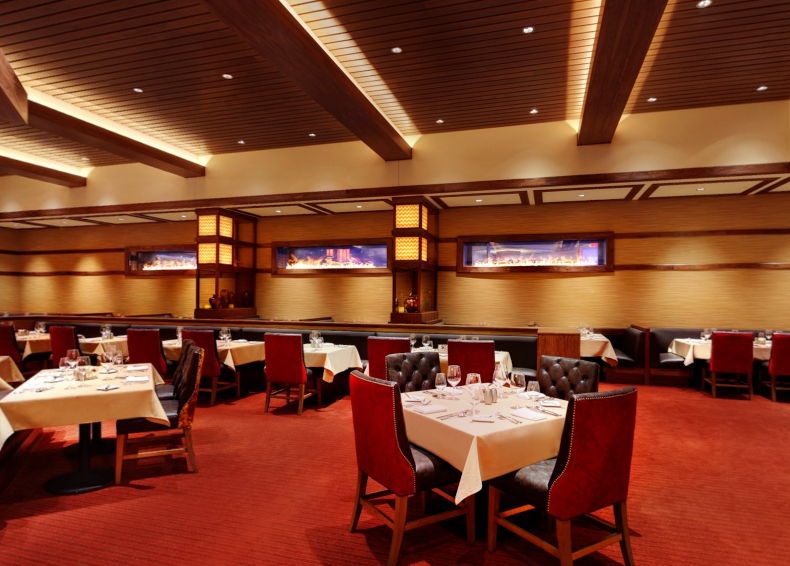 All four fireplaces are located in The Woodfire Grille within the casino. Three of which are lined in a row near the front of the restaurant, with one side facing the casino and the other side the restaurant dining area. The fourth fireplace was placed behind the main entrance to the restaurant with the other side facing a private dining room. Members of our design team were sent to the Kansas Star Casino to assess the current state of the existing fireplaces and advise on the removing and replacing of the wiring. After being on-site to assess the current state of the existing wiring, our design team provided the customer with detailed storyboards illustrating the solution Acucraft could offer. Included was our Patent-Pending Glass Cooling System which allows us to offer a tall, lazy, impressive flame and touchable glass, without unwanted heat. 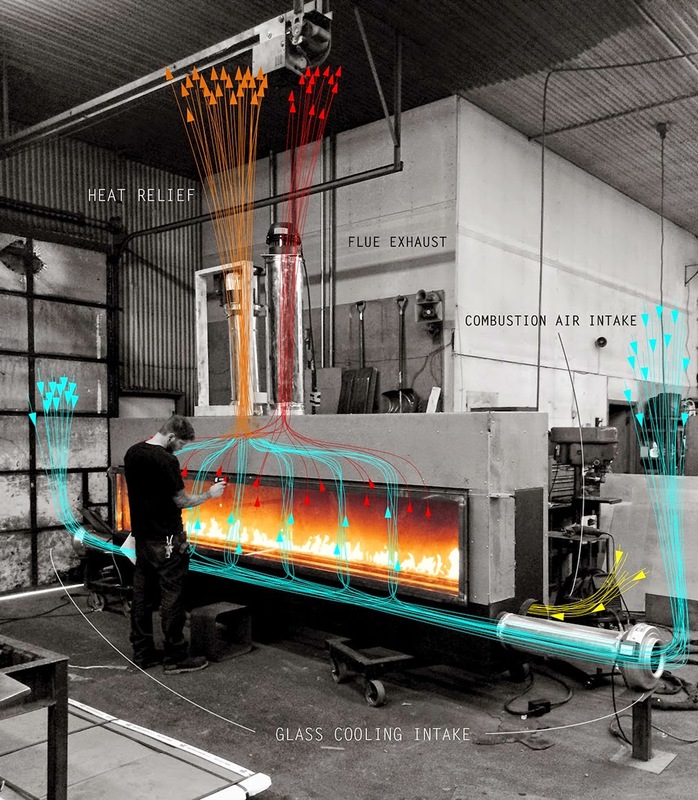 Our Patent-Pending Glass Cooling System forces cooler air from outside through Class A stainless steel flue into the air channel between the panes of glass, ensuring a lower, touchable glass temperature (as depicted in the image below). The heated air can then be dispersed into the space or, in this case, vented outside to further control the temperature of the surrounding area. Our Fireplace Advisors and Designers worked with Boyd Gaming to determine the best solution to their problem while still exceeding their expectations. 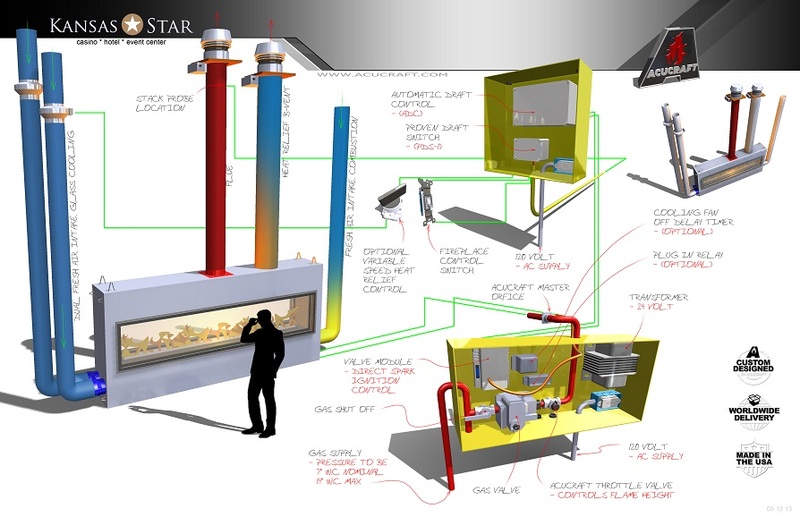 Once the design was finalized a fireplace was sent to a test lab to be UL tested. Upon completion all four fireplaces were built and shipped to the customer. After all four fireplaces arrived at the casino our design team was on-site calibrating the fireplaces to ensure the desired flame height was achieved and everything was working perfectly. We are so glad that we could help Boyd Gaming & Kansas Star Casino with their dilemma and welcome the opportunity to work with them again in the future!